Royce McLarry began studying violin at the age of four with his father Lacy McLarry. He made his solo debut with the Oklahoma Symphony Orchestra at the age of 12. At age 16 he was a finalist in the International Mozart Festival Competition (Pueblo, Colorado). McLarry received his Bachelor of Music degree from Oklahoma City University, where he also studied with his father. As a graduate student at the University of Wisconsin-Madison, he studied viola with the renowned Richard Blum of the Pro Arte String Quartet. While there he served as violist of the Strelow String Quartet and performed with the Madison Symphony Orchestra. He has also served as Assistant Principal Violist of the Northwood Orchestra in Michigan. McLarry has served on the faculties of the University of Oklahoma and the Brevard Music Center in North Carolina. He carries on the teaching tradition of his father by teaching viola and violin. He is currently a faculty member of Oklahoma Christian University. 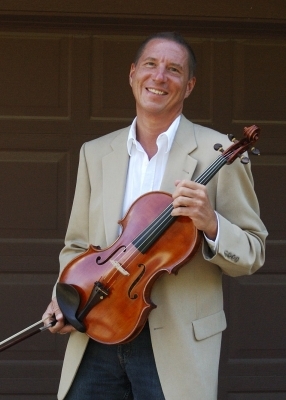 McLarry is Principal Violist of the Oklahoma City Philharmonic Orchestra and the Lawton Philharmonic Orchestra, and he plays regularly with the Tulsa Symphony Orchestra and the Tulsa Opera. As a chamber musician, soloist and member of the New Lyric Quartet, McLarry performs throughout the region. Recent performances include Music From Greer (Greer, AZ) with the New Lyric Quartet, as Principal Violist of the Quartz Mountain Music Festival (Lone Wolf, OK) and a collaboration with guitarist Pepe Romero performing Boccherini’s Fandango Quintet.